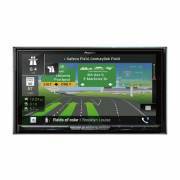 Pioneer AVIC-W8500NEX or Networked Entertainment experience line of receivers features an innovative and powerful new user interface that is responsive and highly customizable. The NEX models are designed especially for today’s smart phone driven lifestyle. Pioneer AVIC-W8500NEX supports a cable free connection between your smartphone and the receiver using Wi-Fi® wireless connectivity. Now compatible with both Android Auto Wireless1 and Android Auto over USB, the AVIC-W8500NEX makes it easier than ever to connect. Android Auto makes it easier to access your favorite navigation, media and communication apps on the road while minimizing distractions. The Pioneer AVIC-W8500NEX also features Android Auto which extends the Android platform into the car in a way that’s purpose-built for driving and automatically brings you useful information and organizes it into simple cards that appear just when they’re needed. It’s designed to minimize distraction so you can stay focused on the road ahead. The Pioneer AVIC-W8500NEX features Apple CarPlay, the smarter, safer and more fun way to use your iPhone® in the car. Apple CarPlay gives iPhone users an incredibly intuitive way to make calls, use Maps, listen to music, and access messages with just a word or a touch. Apple CarPlay requires iPhone 5 or newer with the latest version of iOS. 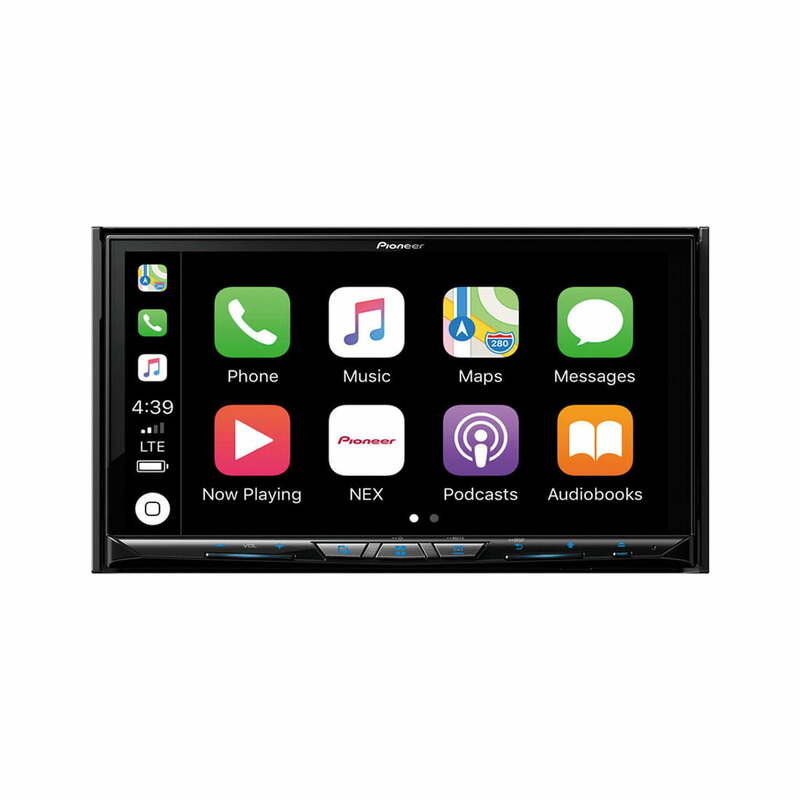 With AppRadio Mode +, Pioneer has taken the technology from our revolutionary, game-changing AppRadio and placed it in the AVIC-W8500NEX so you can experience control of compatible apps directly on your dash! When connected to an iPhone 5 or newer, or compatible Android smartphone via USB interface cable and loaded with Pioneer’s free AppRadio application, you can enjoy full on-screen access and control of your contacts, calendar, maps, and more! The intuitive interface is formatted and designed specifically for safer in-vehicle operation. 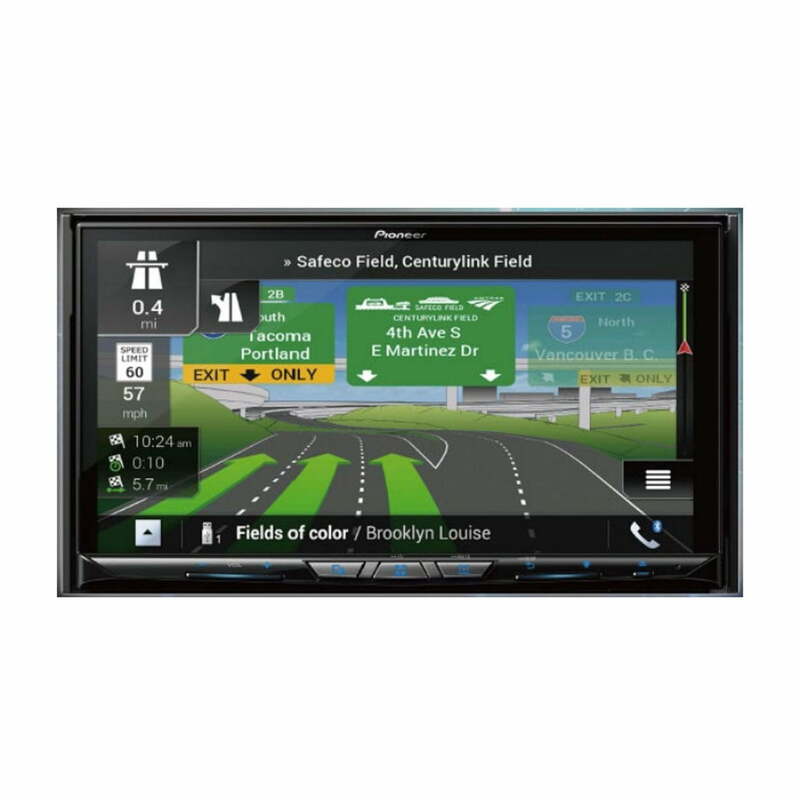 Pioneer AVIC-W8500NEX offers a comprehensive map database from HERE® covering the entire United States (including Alaska and Hawaii), Canada, and Puerto Rico, enabling users to route to millions of destinations. As a component of the Naviextras feature, the AVIC-W8500NEX ensures that you have the most recent map database available for this receiver at the time of purchase.